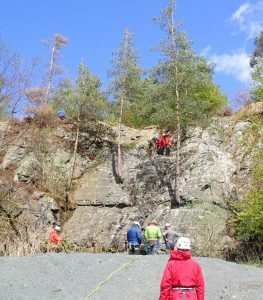 We were approached late last year and asked if we could deliver a Continuing Professional Development (CPD) day for the British Mountain Guides Association. A day of discussing the installation & testing of bolts, followed by a practical session in an old disused quarry seemd to fit the bill. Experience of the Guides attending varied from some having placed hundreds of bolts to some never having placed any.